In our previous two articles, we had discussed the date of the birth of the Prophet, salla Allahu alayhi wa sallam, and demonstrated that there are over half a dozen opinions, the strongest being that he was born on the 8th of Rabīʻ al-Awwal, in the Year of the Elephant. We also mentioned that the first recorded instance of a public celebration of the mawlid occurred in Shi’ite Fatimid Egypt, around the turn of the sixth century of the hijra. In this article, we shall mention the earliest references in Sunni lands to the mawlid. The earliest recorded reference in Sunni lands of the mawlid occurs in a history book written by ʻImad al-Dīn al-Iṣfahānī (d. 597 AH/1200 CE), entitled al-Barq al-Shāmī. This work mentions the main political occurrences of Greater Syria (i.e., Sham) during the last three decades of the sixth Islamic century, in particular the wars of the Muslims against the Crusaders. Unfortunately, the original work remains in manuscript form and has yet to be edited, but a number of summaries exist, the most famous one being Sanā al-Barq al-Shāmī of al-Bundari. It is from this printed work (Sanā al-Barq al-Shāmī, Cairo edition, p. 49-52) that the following is extracted. “Allah created the creation, and legislated the Sharīʻah, and He knows best what is beneficial for them. So if He knew that there should have been an increase [in revenue from taxes], He would have legislated it for us. Hence, there is no need for us to take more than what Allah has decreed, since whoever adds to the Sharīʻah has presumed that the Sharīʻah is incomplete and he needs to perfect it by his addition. And to do this is arrogance against Allah and against what He has legislated, but darkened minds will never be guided, and may Allah guide us and you to the Straight Path” [al-Bidāyah wa-l-Nihāyah, vol. 12, p. 805]. In what can only be described as a reversal of traditional roles, it was the ruler who chastised the ʻsaint’ when Umar al-Mulla actually encouraged the collection of unjust taxes, while Nūr al-Din sought to abolish it. Before proceeding, it is noteworthy that the mawlid instituted by Umar al-Mulla involved singing poems in praise of the Prophet salla Allahu alayhi wa sallam, and nothing more than this. Unfortunately, the books of history do not mention the nature or content of these poems; however, it would not be too far-fetched to assume that at this early stage the poems would have praised the Prophet, salla Allahu alayhi wa sallam in the manner that he truly deserves, and without the attribution of Divine characteristics to him that later poets are guilty of. The city of Mosul was located in a relatively small province, and remained under the control of the larger Zangid Empire. Hence, it was only natural that mawlid celebrations performed in Mosul would not garner too much attention nor have a large budget at their disposal to use for the mawlids. Rather, for this to occur, it had to be sponsored by a dynasty that could afford to do so, and this dynasty was found in the neighboring province of Irbil, a city less than a day’s journey from Mosul. As news of the mawlid spread to this city, the ruler of the semi-autonomous province, Muẓẓafar al-Dīn Kokburi (d. 630/1232), took it upon himself to celebrate the mawlid in an extremely lavish manner. It would take another few decades for the mawlid to spread to Irbil, but eventually, sometime in the early part of the seventh century, Muẓẓafar al-Dīn became famous for the extravagant mawlid ceremonies that were sponsored through the State Treasury of his principality. Two days before the mawlid, Muẓẓafar al-Dīn would take out camels, cows and sheep – a large number, beyond counting – and he would send these animals, accompanied with drums and song and other instruments, until they would reach the large open ground [outside the city]. Then, these animals would be slaughtered, and pots would be set up, and all types of different foods would be cooked, until finally it would be the Night of the Mawlid itself [meaning the night before the mawlid]. On that night, he would allow samāʻas [special poems] to be sung in his fort, and then he would descend down [to the people], the procession being led by countless candles. Amongst these candles were two, or four – I forget now – that were so large that each one had to be carried on a mule, and behind it was a man in charge of keeping the candle erect [on the mule], until it reached the Sufi monastery. Then, on the very morning of the mawlid, he commanded that the Royal Robe be taken out from the Palace to the khānqah (Sufi monastery), by the hands of the Sufis. Each Sufi would wear an expensive sash around his hand, and they would all walk in a procession, one behind the other – so many in number that I could not verify their quantity. Then, Muẓẓafar al-Dīn himself would descend to the khānqah, and all of the noblemen and leaders and gentry would gather together. A chair would be placed for the preachers, and Muẓẓafar al-Dīn himself would be in a special tower made of wood [that he had built for the occasion]. It had many windows, some of which faced the people and others faced the open ground, which was a large ground of immense size. The infantry would also gather there, in procession. So Muẓẓafar al-Dīn would listen throughout the day, sometimes looking at the people and sermons, and sometimes at the infantry, and this would continue until the infantry finished their processions. Then, a general tablecloth would be laid out for the poor, and all who wished could eat from it, bread and other types of foods beyond count! And there was another tablecloth laid out as well, for the people of the monastery, those close to the throne, and while the sermons would be delivered, he would call [each speaker] one by one, and the noblemen and leaders and guests who had come for this season: scholars, and preachers, and reciters, and poets, and he would give each of them garments, and they would then return to their seats. Once this was finished, they would all gather at the tablecloth to partake of the food. This would continue until the ʻAsr prayer, or even after that, and he would spend the night there, and the samaʻās would continue to the next day. And this would be done every year, and what I have described is in fact a condensed summary of the reality, for to mention it in detail would be too cumbersome and take a long time. Finally, when these ceremonies would be completed, he would gift an amount to every visitor who had come from afar, as provision for his journey home. And I have already mentioned how, when Ibn Diḥya passed by Irbil, he wrote up a work regarding the mawlid, because of what he had seen Muẓẓafar al-Dīn do, and because of this he was gifted a thousand gold coins, along with the generous hospitality he was shown for the duration of his stay. As can be seen, the ceremony of Muẓẓafar al-Dīn was an extremely lavish and extravagant affair, and would draw large crowds of locals and also visitors. It is clear that the relatively innocuous mawlid of Umar al-Mulla was now being taken to a different level. And because the celebrations of Muẓẓafar al-Dīn attracted more attention than those of ʻUmar al-Mulla, they played a crucial role in spreading the custom of the mawlid and increasing its popularity. And of the best matters that have been introduced in our times is that which occurs in the city of Irbil – may Allah protect it – every year, on the day that the Prophet salla Allah alahyi wa sallam was born. [On this day], charity is distributed, and good [deeds performed], and pageantry is displayed, and happiness [is abundant]. And all of this, in addition to being beneficial to the poor, is an outward manifestation of the love of the Prophet salla Allah alahyi wa sallam and demonstrates respect for him, and honor in the heart of the one who does this [celebration], and thankfulness to Allah for what He has blessed us with in the existence of the Messenger that He has sent as a mercy to the worlds. And the first person who ever did this was [a man] from Mosul, the Shaykh Umar b. Muhammad al-Mulla, a well-known, righteous man, and it was from his custom that the Governor of Irbil, and others besides him, took this act from. From this passage, it is clear that the custom of the mawlid was already known to Abū Shāmah in Damascus, but he points out that the celebration occurs in Irbil , and not in Damascus. Hence, at this stage, in the middle of the seventh century, news of the mawlid has reached Damascus, which is around 500 miles away, but the city of Damascus itself has yet to start its own mawlid. It is also striking to note the similarities between the Fatimid celebrations of the mawlid and the ones sponsored by Muẓẓafar al-Dīn: in both cases, the pomp and pageantry and generosity lavished upon the population must have played a vital role in popularizing these rulers amongst the people. Therefore, it is clear that Muslims of Makkah did do something special on the first Monday of Rabīʻ al-Awwal, and that is to open the house of the Prophet’s birth. Of significance, though, is that that is all they did. There are no celebrations, no festivals, no songs, no ceremonies. All of this was to come later. In fact, in Makkah the mawlid was not even ‘celebrated’ on the 12th of Rabīʻ al-Awwal, but rather on the first Monday of the month. This was the extent of the mawlid in Makkah in the latter part of the sixth century, before the customs of Muẓẓafar al-Dīn were done in the far away city of Irbil. Hence, to quote this as justification for modern-day mawlids is simply not appropriate. It can be seen, then, that slowly but surely, the practice of celebrating the mawlid spread to other Muslim lands, and as the decades turned to centuries, more and more layers of celebrations were added. For most lands, it is impossible to document the precise date when the mawlid was initiated, or even the person who exported the idea to each land. Sometimes, however, we are provided such clues. For example, we can trace the beginnings of the mawlid in North Africa, and thence to Andalus to the efforts of a certain Abū al-ʻAbbās al-Azafī (d. 633 AH), who wrote a work entitled ʻThe Edited Pearl Regarding the Birth of the Honored Prophet‘. The work was the spearheading effort that eventually legitimized the celebration of the mawlid. In it, Abū al-ʻAbbās clearly states that his purpose in legitimizing the celebration of the mawlid is so that the Muslims desist in the evil and reprehensible act of celebrating Christmas, Nawruz and other holy days of the Christians and pagans that some Muslims of Andalus had begun to adopt. He writes, “I have searched intensively and racked my brains to find something that would distract the attention of the people away from these bidʻahs to something that is permissible, which does not cause the one observing it to sin…Therefore, I drew their attention to the birth of the Prophet Muḥammad…” Later in the work, he refutes those who have criticized this act as being a reprehensible innovation by claiming that the mawlid is a praiseworthy innovation, not a reprehensible one. This in itself shows that there were scholars in Andalus who were opposed to this practice and dissaproved of it, hence al-Azafi was forced to defend the practice. [See: P. Shinar, “Traditional and reformist mawlid celebrations in the Maghrib” in: Studies in Memory of G. Wiet, Jerusalem 1977, pp. 371-413; and N. G. J. Kaptien, Muhammad’s Birthday Festival, Brill, pp. 76-96]. 1) The very first Sunni to publically celebrate the mawlid was a Sufi mystic by the name of Umar al-Mulla. He seems to be a person of dubious character, and the least that can be said about him was that he was by no means a scholar of the religion. 2) Government-sponsored mawlids in Sunni lands were first introduced by Muẓẓafar al-Dīn, who got the idea from Umar al-Mulla. These celebrations were extremely popular amongst the masses, and helped secure popularity for the rulers. 3) Late in the sixth Islamic century, the mawlid had been introduced to some Sunni lands, but the mainlands of Islam (e.g., Makkah, Damascus, etc.) had not yet begun to commemorate the day with any festival. 4) In Makkah, no festival or public celebration occurred, instead the birth-date was an occasion to open up historic sites for the people. Also, the birth-date itself had not yet been associated with the 12th of Rabīʻ al-Awwal; rather, it was associated with the first Monday of Rabīʻ al-Awwal. 5) The association of the mawlid with the 12th of Rabīʻ al-Awwal was clearly a Fatimid influence, which was later followed by other government-sponsored mawlids. 5 ) The mawlid spread in various lands due to miscellaneous factors. In some lands, it was patronized by the rulers and used as a means of legitimizing their rule. In other lands, it was used as a tactic to divert Muslims from that which was clearly impermissible to a matter that was deemed to be praiseworthy. It is quite clear that the Fatimid celebration, having preceded the Sunni one by almost a century, was the actual origin of the mawlid. However, most later authorities (most famously al-Suyūtī (d. 911) in his treatise on the subject), either knowingly or unknowingly glossed over the Fatimid origins of the mawlid, and attributed it to the Sunni ruler Muẓẓafar al-Dīn Kokburi. A few modern researchers (such as Kaptein) have theorized that this was done intentionally, in order to cover up the Shiʻite origins of the festival and attribute it to a popular Sunni ruler, viz., Muẓẓafar al-Dīn. But for our purposes it matters little whether al-Suyūtī was aware of the Fatimid origins of the mawlid or not; the fact that cannot be denied is that the origin of a public celebration goes back to their empire, and Muẓẓafar al-Dīn’s suspicously similar festival occurred almost a century after theirs. Therefore, to attribute the origins of the mawlid to Muẓẓafar al-Dīn, or even ʻUmar al-Mulla, is simply not accurate. The purpose of this article was to give a brief overview regarding the origins of the celebration of the Prophet’s birthday, and some examples of how it spread to other lands. It did not discuss the legal validity for such a celebration, as that is another topic altogether, and one that has been hashed and rehashed on many different sites and forums. My own leanings, which I have never shied away from expressing, are the same as those of Ibn Taymiyya (d. 728) that he mentioned in his work Iqtiḍā Sirāt al-mustaqīm: that the general ruling is that such a celebration is not a part of the religion, but was added by later generations, and hence should be avoided; but it is possible that some groups of people who practice it out of ignorance will be rewarded due to their good intentions. The mawlid of the Prophet salla Allahu alayhi wa sallam should be celebrated every day, by following his Sunnah and doing in our daily lives what he salla Allahu alayhi wa sallam wanted us to do. I also stress that even if I disapprove of a public celebration of the mawlid, not all mawlids are the same, and if the only matter that is done on a mawlid is to praise the beloved Prophet salla Allahu alayhi wa sallam in an appropriate manner, and mention aspects of his sirah, and thank Allah for blessing us to be of his Ummah, then this type of celebration is permissible, in fact praiseworthy, on any day of the year, and hence even if some groups choose one specific day to do it, others should not be harsh in their disapproval of it. I believe that the fatwas given by such esteemed authorities as Ibn Hajr (d. 852) and al-Nawawi (d. 676) legitimizing mawlids refer, in fact, to such ‘innocent’ mawlids. Sadly, it is well-nigh impossible to find such ‘pure’ mawlids practiced in our times! i) after the fall of the Fatimids, the mawlid continued to exist. Kaptein’s conclusions are very reasonable and have clear evidence to back them up, as this article has also showed. * It must be mentioned here, of course, that the practice of seeking blessings from ancient relics was one that was disputed amongst the scholars of Islam, and legal textbooks of the period reference this fact. The more Orthodox scholars disapproved of this practice, and it was generally sanctioned by the masses, and not scholars. However, that is the topic of another paper. good read, compiled all the bits and pieces scattered around the place in one location. Am I misreading or is there an implication that since the Mawlid has a Shia origin, it weakens the case for celebrating it? And if that isn’t enough to disqualify the Mawlid, take a look at the goofy sufi who introduced this practice to the Sunni world – some schmuck who called for unjust taxation! Sh. Yasir, while you clearly state that your purpose was NOT to discuss the (in)validity of the Mawlid, it seems you did just that by focusing on its dubious origins. Some unanswered questions I have: What did the scholars of past think of these origins (you alluded to Sh. Suyuti, but what of the others)? What factor did it play (if any) in their judgment on the Mawlid? And finally, what factor should it play (if any) in our judgment of the Mawlid? people cannot avoid to reveal their ideology as they write or speak and so are the Najdis. there are many celebrations in the world, why does praising the prophet disturb are you satans, you najdis.? but you celebrate the birth of King Abdiazizi of Saudi. you can write a biased article but you cannot change history. it is only Qatar and Saudi that hate Islamic history and good deeds- but see what they back and fund! Like mawlid or hate it, people all over the world celebrate and will do till the day of judgement. 1.7 billion out of the 1.8 billion muslims celebrate mawlid. if you hate it, swallow razer. As far as I recall, Umar al-Mulla’s correspondence with the Caliph did not have to do with taxes. He wrote to the Caliph asking for him to level harsher punishments against the criminal elements of society, claiming that they were getting out of hand and were in need of some ”siyasa”. It was then the Caliph who responded with his letter. After receiving his letter, Umar al-Mulla went out to the people, publicly read the letter, and proclaimed: “Look at the letter of the ascetic to the ruler and look at the letter of the ruler to the ascetic.” So, it is clear that Umar al-Mulla realized the wisdom of the Caliph and agreed with his stance in the end. To use that incident as a negative portrayal of Umar al-Mullla seems incorrect. It seems as if you got the mention of the taxation from Ibn Kathir and Ibn Rajab; I haven’t read their accounts but of the few that I did, there was no mention of taxes. Perhaps you can post the Arabic for added clarity. To use the argument that the Mawlid was originally a Shia celebration, therefore it’s validity is on shaky grounds is not a logical one. Here is another example for you to think about. Al-Ahzar was an institution started by the same Fatimid Dynasty, what does that mean for the Al-Ahzar we have today, or about all the scholars it has produced. Irrespective of the point of Mulla’s correspondence to the Caliph regarding taxes (which was cited by great meticulous scholars such as Ibn Katheer (ra) and Ibn Rajab (ra) and others without much ambiguity) the focal point of discussion is Mulla’s introduction of the Mawlid which is quite unquestionable according to the historical sources mentioned by Shk. Yasir..it would not change this fact much even if he was a person of another character (for the sake of argument), the point is that he introduced something which was unprecedented by the “Sunnis”..
May Allah ta`ala continue to bless your efforts in upholding objectivity and scholarship and raise your ranks to the highest..ameen..i believe our ummah is in dire need of such professional scholarship and objectivity as this is an essential part of what leads to truth in matters and clarifies the misrepresentations and misinterpretations..
My question: Is there any direct or indirect influence (from the introduction of mawlid) on the formalization of various sects in Islam (such as brailwy and others)? I know this is probably a discussion in and of itself (maybe Part IV? :) , but just in brief.. Does it make less Shia bashing by quoting a White (likely a Ashkenazi Jew) non-Muslim (sogar! a doctoral. Indeed, the petit-bourgeois thinking ruling here can become sometimes staggering)? Why not stick into historic research instead of naming denomination? I think it’s a bad analogy. The Sunnis already had institutions of learning, and when they came into al-Azhar, they changed the curriculum, so besides the fact that establishing centers of learning is not a religious innovation by any means, they were already doing it for quite some time. When the mawlid was brought into practice originally, the only ones celebrating the birthdays of prophets were nonmuslims (eg christians), not sunnis. If there are any other religious customs you can point out which we took from the nonMuslims and / or shi’a and made into sunni and it is accepted by ijmaa’, I’d be happy to hear about this analogy. salam Br Naeem, I think the implication is that one should know what they are practicing. What’s great about history is that its objective reading does not conform to any prejudices or biases. So, it is what it was. One can make the argument that history is irrelevant for this issue, but one cannot decry a reading of the history because it is not favorable to a specific opinion. Also, one can question historical accuracy by bringing other proofs, and that would make for a much better discussion. Just like your and Mastur’s raising of good questions. 2) Why the punishment for the Abu Lahab was lessened when he had freed his slave. (Reference can be found Sahih Bukhair, Kitab Un NIkah). 3) Keeping all the argument aside, Is there any Sahi Hadith that says do NOT celebrate the birthday of Prophet Muhammad (Peace Be Upon Him), if yes can you present one? This way everyone will be convinced. Although I wanted to write more but I think this is enough here. Indeed Allah and His Messenger (Peace Be Upon Him) know the best. There are plenty of hadith prohibiting bidah. Yasir Qadhi, after reading your wiki , I want to say congratulate you your Ph.D. Shall we refer to you as Dr. Yasir Qadhi? On another note: will you continue your series on Salvific Exclusivity? Will you do a post-doc? Maybe in Harvard? You should try to stay in these institutions to influence the policy makers. Here’s my question – why is it that those who are pro-mawlid make such a big deal about isnaad this and isnaad that, but when it comes to religious practices, good bid’ahs are all good? The BIRTHDAY is an INNOVATION. The PROPHET(PBUH) never celebrated his birthday nor did the khulafai rashideen. Abu-Baker was most beloved by the PROPHET(pbuh) and he was his very close friend. How are we any more closer than Abu-BAker and he DID NOT PRACTICE the BIRTHDAY. huh all this bidah is WRONG. Siraaj, that is the point – it’s a esoteric view of the deen. Authority to interpret lies with few people who are apparently so pious as to make every act and word warranted and even laudable. The methods they use are not perceptible and impervious to criticism; they are “other-worldly.” Now they employ the quasi-exoteric mode of invoking isnads because in order to grain some credibility they have to appeal to reason at some level. But if you scrutinize this reasoning it falls apart real quick and leaves the bare foundation of esotericism. Like I mentioned previously, when I scrutinized their claim and evidence of their isnad, all the sh. could do was respond, “Well, if the light is so bright who cares where the electricity is coming from.” – Purely esoteric. In regards to Mawlid no matter what types of evidences or historical information is brought, at the end their shuyukh are pious and have an uncanny connection with the divine and thus their bidah will always be good. This is obviously very different from the legalist tradition in Islam, which is through and through exoteric. I think if you are still trying to argue that celebrating Mawlid is good, while agreeing that it was NOT done by the prophet sallalahu alyhi wasalam and his companions, then you clearly have an issue in understanding what this deen is about. Ustadh Abdullah Hamid Ali of Zaytuna Institute sent me a very polite and respectful e-mail, stating that, in his opinion, the mawlids that he has attended are nothing more than legitimate deeds and do not go beyond the boundaries of what is permissible in our religion. He also pointed out, quite factually, that since I have not attended any mawlids myself (and this is a truth I gladly acknowledge), that therefore my own views on current mawlids cannot be accurate. As he wished me to clarify this, I have done so. But I wish to point out that it is not a necessary condition of knowledge to be physically present – we all know what happens at certain places of worship of other religions, or even places of ill-repute, even if we do not go there ourselves. In our times, the videos of the mawlids done around the world are even posted on the net, sometimes with people present who are deemed to be leaders of their respective communities. I have yet to see any mawlid that I think would be permissible on any other day of the year. Also, when I follow the position that some of the lines of the Burda of al-Busayri are problematic and guilty of over-exaggeration, I would challenge the premise that a modern mawlid would be free of exaggeration. I do not deny there are exceptions, all I’m stating is that if they exist they are few and far between, and I have yet to see one. Lastly, because Ustadh Abdullah is a person whom I respect, I entertained his request and responded to it briefly. Otherwise, the purpose of the article was not to discuss the legitimacy of the mawlid, but rather its history. Hence I will not respond to any future questions regarding the permissibility or impermissibility of this celebration, as that has already been done enough times on the net. I hope you have the chance to participate a mawlid in Turkey one day. People gather at the mosque and a reciter read mawlid-shareef of Süleyman Çelebi of Bursa and recite salawat between salat al-maghrib and isha. For those looking for permissibility, check out Shaykh Abdallah bin Bayyah’s (may Allah preserve him) fatwa on the Mawlid. Should not the fact that the Mawlid comes from the Rawaafidh be enough to deter the believers in Tawheed from such an act? Maybe we Sunnis should also adopt Matam and their Ashoora practices! As for the Zaytuna Institute’s Abdullah Hamid Ali claiming that Ustadh Yasir Qadhi’s view cannot be taken into consideration since he has never been to a Mawlid…Do any of us Sunnis partake in Matam, Zanjeer, etc? Yet we say it is evil and wicked, do we not? -Edited. Chill out bro on the sweeping generalizations. jazakallah khayr for the mawlid series yaa Shaykh Yasir! Will wait for ur series on the debate on Bid’ah Hasanah. Looks promising. Though the history behind the Mawlid was v fascinating and beneficial to learn, and though you didn’t want to touch the permissibility thing, you did do that in the conclusion, and wrote about the ‘permissible’ kind of Mawlid, and the conditions and strings attached to it. However, to me, though I’m a nobody, the whole point of trying to squeeze in with the various conditions that ‘could’ make it permissible, neither looks to be a strong argument based on evidence nor do I find a need to it. I find the rulings of those scholars who have kept it simple that since its a bid’a into religion its not acceptable to be more correct, and backed with evidence. The qawl of any person/scholar can be rejected if its not true but not the qawl of ar-rasool SAW. Remembering the Prophet SAW, educating others about his seerah, implementing his sunnah, praising him and sending blessings upon him are all part of the religion and the Ummah doesn’t need a Mawlid for implementation. I understand its ur attempt to balance after ur research, but its just better to go back to sunnah. its the safest. The Sunnah and the ijmaa of Sahabah are already approved by divine legislation. The argument still stands. 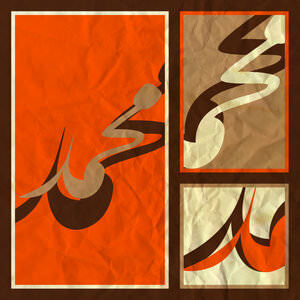 The validity of an action, in Islam, is not dependent on who or how it started. It depends on Quran, Sunna and Ijma. It is related by Imam Bukhari on the authority of Ibn-i-Abbas that when the Prophet Sall-Allahu alayhi wa sallam came to Madinah he found that the Jews observed the fast of ‘Ashura. He enquired about it from them and was told that it was the day on which God had delivered the Children of Israel from the enemy and Moses used to keep a fast on it as an expression of gratitude to the Almighty. The Prophet Sall-Allahu alayhi wa sallam thereupon, remarked that ‘Moses has a greater claim upon me than upon you,’ and he fasted on that day and instructed his followers to do the same. Agreed. The fasting of ashura was clearly established in Sunnah and you are right, it didn’t matter how it was started, because the Prophet (S) ordered us to do it. Can you pls point out where mawlid’s validity is mentioned in the Quran or Sunnah or Ijma? I am not getting into the argument of whether its valid or not, I just want to understand the relevance of your statement to mawlid. I’m not going to write about the permissibility of the mawlid, from the Quran, Sunna and Ijma, I’m sure you can find plenty on the web. I was just responding to Siraaj’s post on logic and analogy, and how they are not being used properly. I have been following the three part “The Birth-Date of the Prophet and the History of the Mawlid” by Yasir Qadhi and was interested to see what his conclusions were. One particular passage in the last part (Part III) had me scratching my head, leaving aside the other issues of accuracy and the veracity of what he has written for people more expert in these matters than me. OK, so in essence he does not object to the Mawlid as such, great, but then goes on to say that the fatawa given by Ibn Hajar and Imam Nawawi (what about Suyuti and Ibn Kathir’s approval?) are to do with “‘innocent’” mawlids (what does that mean?) and then says ” it is well-nigh impossible to find such ‘pure’ mawlids practiced in our times!”, well either he is not looking hard enough or is being disingenuous. OK so he uses quotation marks around “innocent” and “pure” to suggest that there is some leeway or that the standards he considers as a being pure and innocent are in fact his own imaginings of those standards. All the Mawlids that I have ever been to are “to praise the beloved Prophet salla Allahu alayhi wa sallam in an appropriate manner, and mention aspects of his sirah, and thank Allah for blessing us to be of his Ummah”, I wonder what he considers as “impurities” and “corruptions” that happen in the gatherings I have been to? Is it just a case that he just doesn’t go to Mawlids, and is this just a case of poisoning the minds of people around this issue and also trying to co-opt the opinions of the aforementioned ulama who approve of the Mawlid, as validating his claim that the fatawa legitimizing mawlids “refer, in fact, to ‘innocent’ mawlids”? – And Allah knows best. The point you were attempting to establish could be valid, but the analogy you used was poorly thought out, so you’ve brought forward another analogy. As for this analogy, it’s also poor – did you note my little dig earlier about isnaads (under my author login with MM)? The fasting of Musa is something the Prophet can immediately confirm via wahy as valid or invalid because some of what the Jews said andl practiced were true. The rituals of Hajj are enough of an example (not that the Jews did it, but of practices that had origins from earlier on). But now, here’s the question – is the origin of the practice prophetic or not? In the case of your example, it is. In the case of Hajj, it is. In the case of the Mawlid…not quite. If someone told me, “I fast mondays because that was the day the Messenger was born, as was his practice,” I would say that person is standing on solid ground. Otherwise, specifying one day (and you’re not even sure which day) with questionable origins with admittedly halaal actions in the ideal is rather shaky. To take your analogy to its logical conclusion, it would be like me saying, well, the Prophet fasted Mondays for his day of birth, and he fasted on ashura to continue the practice of Musa, of being thankful for his deliverance, but since we’ve done away with fasting on his day of birth, and we just celebrate the way we do on his alleged DATE of birth, let’s pick up the Qur’aan and Hadeeth, skip the fasting, and simply read the relevant portions on Musa’s escape from Firaun for Ashura. And, we’ll read non-questionable poetry about it, and we’ll have gatherings, and so on, but we won’t do what the Prophet ACTUALLY did on that day. It’s not problematic at all, as all these matters are halaal. Myself, I prefer to stick with the religious practices of our best generations in the manner they practiced those practices. They’re the only ones who have a seal of approval. When every day is your day? O Muhammad ! O Taha ! O shafi’na on the Last Day! For ever and ever, as you say ! O Muhammad ! O Taha ! O shafi’na on the Last Day ! And when attacked, they fought back. And when wrongly questioned, they answer back. When every day is your day ? And brought the Muslim flag as close as Prague ! Made eed upon eed ! Defies all Posts and all Tribunes and all Times ! To a Dane who became insane? As if they were songs of jungle birds! Peace be upon you and all those who followed your way! Actually, neither Ibn Abbas nor Ibn Masood!! A man sneezed in the presence of Ibn ‘Umar (may Allaah be pleased with him), and then said, “Al-hamdu Lillaahi wa’l-salaam ‘ala Rasool- Illaah.” Ibn ‘Umar said, “And I too say ‘Al-hamdu Lillaahi wa’l-salaam ‘ala Rasool- Illaah’, but this is not how the Messenger of Allaah (peace and blessings of Allaah be upon him) taught us. He taught us to say ‘Al-hamdu Lillaahi ‘ala kulli haal (Praise be to Allaah whatever the circumstances).” (Sunan al-Tirmidhi, no. 2738). It is quite pitiful however to see that so very many people find it so difficult to stay on the topic of the Paper – which was the historic origin, irrespective of what they feel the worth of it may be in their eyes. It is truely sad that people allow emotions to get the better of them, and deny themselves the opportunity to appreciate any academic discussion simply because the opinion they follow they feel could in some indirect way come under threat. Wallahu musta’an – wal hamdulilah ‘ala kulli hal..
Ps. incidently I find it additionally strange to see this reaction considering that the authors personal conclusions on the topic don’t seem that clear or indeed straight forward – in fact hard for one of the laity like myself to grasp entirely. But irrespective ofthat, the reaction elicited isn’t how we should be in the realm of such matters particularly whebn being presented as a research of an aademic nature – on a matter which is not fundamental. I think Shaykh Yasir Qadi with an I, is trying to be fair and unbiased. In this case he should be very clear and state that it is indeed an innovation in the religion. We are suppose to go by Sunnah, Quran, Hadith, Khulafai Rashideen’s practices according to the sunnah………….and that is it. they never practiced the birthday. Yes they did Honor the Prophet(pbuh) in prayer, reading durud etc………….which we are suppose to read everyday in our prayers and making dua………….. NOT HAVING A SPECIFIC DESIGNATED DAY FOR IT………………. the fact that it is made a ritual and a special day so we can practice praise of the PROPHET(PBUH) is wrong. btw, i have been to one of the Mawlid(accidently) in Pakistan…………..and its like a party……………….. a celebration…………..
people dress up, make tons of food and pass it around in the neighborhood,,,,,,,,,,,,,,,,,,,,, i don’t see much practice of sunnah there. please give me a break!!!!!!!!!!!!!!!!!!! i have yet to see or hear of a mawlid that fits the category of permissibility outlined above. in fact, most of the mawlids that i know of usually involve women singing, musical instruments, and things of that nature. the more extreme ones (that unfortunately take place in certain masajid) include people bringing out an empty chair for the ruh of Rasoolullah(saw) to descend so that they can supplicate to it. i would be willing to concede your argument about a mawlid that contains no violation of shari’ah (though i personally feel its a bidah), however, in light of the circumstances that we find ourselves in where the vast majority of people go to extremes and violate the shari’ah all in the name of “religious” acts – would it not be better to take the side of discouraging people from performing mawlids? especially since we do see tangible examples of people taking them to the extreme of shirk? a mawlid in and of itself is not a legislated act, so there is no loss in not celebrating it – especially when there are so many other deeds one can perform to attain reward. nice questions one could reflect upon. To add to what u mentioned about how people point that ther’s “ikhtilaaf” ( not objecting to wat u say) it must be noted that not every Ikhtilaaf is valid. I remember once Salim Al-Amry, may Allah protect him n increase his knowledge, clarifying on this. He said there’s even ikhtilaaf on whether Allah exists!!! A’oodhubillaah. When for example people mentioned one Sahabi’s amal as proof against majority or against prophet’s sunnah, he said… qawl as-Sahaabi laisal-Hujjah! the principles of our religion are so strong alhamdulillaah. its the ijmaa that matters. Only those Ikhtilaaf stemming out from the correct principles to derive rulings are really valid. and It all goes back to the evidence. We do have extremes in this case… some people are so blindly following a particular madh-hab that they aren’t ready to consider the genuine types of ikhtilaaf or some who just include everything in ikhtilaaf. Allah knows best. I think that when people think of mawlids they conjure up images of people dancing around in Pakistan, etc. women dancing and music blaring. To be honest, this is a sign of their societal decay…even if you were to discuss the permissibility and how to do it, it would be irrelevant. No one there would listen and even if they did listen, they wouldn’t follow it. And why would they when they are stepped in ghaflah? What is really needed there- is to build up emaan in their hearts, to firmly establish the deen in their communities. I think once that happens, shirk and haram-filled mawlids, all these ideas that are alien to islam…would disappear almost overnight…just like how the Sahabas dealt with alcohol. Speaking of dancing, here are some clips of chechen sufi hadras. I totally agree with you that we should revive the sunnah, and since the Mawlid is not from the sunnah, doing it will definitely distract us from reviving the authentic sunnah of the prophet salalahu alyhi wasalam. The only way to revive the sunnah is by elimintaing the practice of innovations (such as celebrating the Mawlid). That quote is troubling Abd- Allah. Faiez: I’d be careful about making fun of Chechens…heck, it’d be for your own safety! “That quote is troubling Abd- Allah. 1) using a sutrah or a barrier in front of you when you are praying. 3) Using the siwak with every wudu or before every prayer. 4) Cover your mouth with your hand when you yawn. Anas ibn Maalik (may Allaah be pleased with him) was asked, “Did the Prophet (peace and blessings of Allah be upon him) pray wearing shoes?” He said, “Yes.” (Bukhari). Although there are much more forgotten sunan that are barely being practiced anymore, but insha’Allah these examples are enough to show that the more muslims busy themselves with doing innovations, the father away they go from the sunnah and from reviving the sunan of the prophet peace be upon him. Subhana Allah akhi. Jazaka Allahu khayran for that amazing reminder. I didn’t even know about no. 2 and no. 5. I am wondering, if you have time, to help expand that list? Even if it’s just here in the comments. I’d be interested in posting more of that on my blog, to help revive those sunnahs…and maybe figure out some ways of help spreading those forgotten sunnahs. Email me at muslimology@gmail.com if you are interested. That is what we call real men. inshAllah i will try and do that. Perhaps if Muslim Matters agree, I can write a post on it and include many other forgotten sunnahs. Bro, me thinks that you should leave your comfort area once in a while….. This is not the type of mawlid most traditional sunnis would relate to. When did love of the Prophet (saw) become a crime? As long as no acts abhorrent to the Shariah are being committed, what’s wrong with the mawlid and how is it a bad bidaa? xtc – the sunni mawlids in my locality consist of empty chairs for the ruh of the prophet(s) to descend to so they can supplicate to it or women w/o hijab singing songs, etc. I guess the interesting thing here is how far we have come along in actual AGREEMENT, rather than disagreement. If the issue is down to a “pure” mawlid vs. an “impure” one, then that is an achievement itself. If you think about where the 2 parties to this argument started, and where we are ending up here, I think the relative perspective (vs. the absolute perspective) is cause for commendation. Brother Amad, maybe for some brothers that is where the issue is, but for others, any Mawlid celebration is considered a bid’a, regardless of how “pure” it is. Every innovation is a misguidance, and any matter of worship that is not from the sunnah is a bid’a. That is why I think it will not be of any benefit to continue discussing this issue of Mawlid, because at the end of the day, no one is going to be convinced by what the other is saying. It all comes down to how each group understands the deen. While one group believes that some innovations are “good”, the other group believes what the prophet peace be upon him has said that EVERY innovation is a misguidance. So you see it is not a matter of providing proof to convince the other group, because each group is thinking on a different level and has a completely different understanding of what this deen is all about. Brother Dawud, I sent you an email a few days ago, did you get it? assalamualaukum, there is no evidence of Maulid (in the sense that it is understood today not in tems of place and time of birth) in the primary sources of Islam, which I paramount for establishing the legality of any A’maal. Where there is an apparent sanction by respected scholars such as an-nawawi (ra) as-suuti (ra) ibn Hajar (ra) and others then this is misconstruction of their statements. they simply meant the mention of the birthday of the Prophet (SawS) whether this is done in the privacy of one’s home teaching one’s family friends relatives or in the masjid educating the congregation on any day, any month any year or making a presentation for a non- muslim visitors to the local masjid . Maulid of singing poems and nats praising the Best of humanity (SawS) with qualities that exclusively belong to his (SawS) and our Creator is nothing short of a defeat of the purpose of what he (SawS) was sent with. Mawlid or celebrating the birth of our Beloved Messenger, Sallallahu Alayhi Wa Sallim, is and should not be an issue. Why waist so much valuable time in arguing the legality of this practice? I think this is a classic case of obsessive compulsive disorder… this persistent urge in wanting to argue, bicker and prove one’s point and order to satiate one’s ego. I don’t think this has anything to do with “seeking the truth”, its more of an “I want to prove my point and just simply win an argument syndrome”. If people were busying themselves with dhikr coupled with the attainment of sacred knowledge the Mawlid would no longer be an issue. It puts to rest the issue of the mawlid — very simple… but we choose to complicate matters because we have sick hearts with huge nafs and ego and it could be a symptom of a lack of dhikr and presence with Allah SWT. We always want to be heard as if we know the “ways of the Salaf” and the deen better then our well-trained rightly guided scholars whom have inherited this knowledge in an unbroken chain of transmission from shaykh to student all the way back to our Beloved Messenger, Sallallahu Alayhi Wa Sallim. (1) The first category comprises innovations that are obligatory, such as recording the Koran and laws of Islam in writing when it was feared that something might be lost from them; the study of the disciplines of Arabic that are necessary to understand the Koran and sunna such as grammar, word declension, and lexicography; hadith classification to distinguish between genuine and spurions prophetic traditions; and the philosophical refutations of arguments advanced by the Mu’tazilites and the like. (3) The third category consists of recommended innovations such as building hostels and schools of Sacred Law, recording the research of Islamic schools of legal thought, writing books on beneficial subjects, extensive research into fundamentals and particular applications of Sacred Law, in-depth studies of Arabic linguistics, the reciting of wirds by those with a Sufi path (or circles of dhikr in which the movement of the participants increases their remembrance of Allah), and commemorating the birth (mawlid) of the prophet Muhammad and wearing one’s best and rejoicing at it. (4) The fourth category includes innovations that are offensive, such as embellishing mosques, decorating the Koran, and having a backup man (muballigh) loudly repeat the spoken Allahu Akbar of the imam when the latter’s voice is already clearly audible to those praying behind him. (5) The fifth category is that of innovations that are permissible, such as sifting flour, using spoons, and having more enjoyable food, drink, and housing. This is not to prove my point but its just simple nasiha/advice and just some things to consider before jumping to final immature verdicts. For those who love the prophet peace be upon him and claim that out of this love that they want to celebrate his Mawlid, then I ask you this: Do you already practice ALL his authentic sunnahs before starting to practice the Mawlid which is not one of his sunnahs? When the answer to that question is yes, then please come back and argue that you want to celebrate Mawlid, but until then, try to practice his authentic sunnah instead. The purpose and aim of the Mawlid is to encourage and motivate the believer in reviving and implementing the sunnah in his or her life and in increasing his or her knowledge of the Beloved Prophet, Sallallahu Alayhi Wa Sallim, through the study of the sirah with the purpose of deriving beneficial lessons and in increasing ones love for the Beloved, Sallallahu Alayhi Wa Sallim. In other words the Mawlid is just a means and means do not pertain to innovations/bid’ah. What is needed the most in this time in age is sincere pure hearts coupled with understanding (fiqh) of the religion. Too bad this “means” isn’t fulfilling it’s purpose akhi. The people who celebrate the Mawlid keep on straying farther and farther away from following the sunnah and from reviving and implementing the sunnah in their lives. That is what reality shows. So maybe these people would want to find new “means” that are more effective in making them achieve that purpose or aim of implementing the sunnah. The other thing that is interesting to note is that those who are already implementing the sunnah in their lives and following it did not seem to use this “mean” of celebrating the Mawlid, so why not try the same way that they used to follow the sunnah, because they seem much more successful in adhering to the sunnah than those who celebrate the Mawlid. Akhi, there is no proper way to do a Mawlid. Comparing the Mawlid to prayer is something wrong on many basis. First, Allah has made prayers obligatory and the prophet peace be upon him and his companions used to do them, and prayer is something well established in our deen. On the other hand, the Mawlid is not part of the deen to begin with, and so far no one has provided any proof for the permissibility of Mawlid. It is well known that the sufis celebrate the Mawlid and claim to be following the sunnah while in reality they are very far away from it. In order so we don’t repeat the same discussion over again, please read back through the comments so you know where the discussion is at right now, because it seems like you just joined on this post. After “wa rahmatullahi wa barakatu,” and the Mercy of Allah and Blessings, he used to say, “assalamu `alayna min Rabbina,” peace upon us from our Lord. Narrated by Al Tabarani in Al Kabir, and the narrators are those of the sound transmitters, as it has been mentioned in Majma’ Al Zawa’id. Reciting the Prayer of Completion of the Qu’ran in Salat al Tarawih and also in Salat al Tahajjud. Designating the 27th night of Ramadan to complete reading the entire Qu’ran in the two Holy Mosques. Founding organizations which did not exist in the time of the Prophet, such as Islamic universities, societies for committing the Qu’ran to memory, and offices for missionary work, and committees for enjoining good and forbidding evil. We are not objecting to these things, since they are forms of good innovation. We merely list these innovations to point out that those who oppose Mawlid clearly contradict their own rule stating that anything that neither the Prophet nor his Companions did is innovation. And since they claim that all innovation is bad, they themselves are guilty. Compiling the Quran is in no way an innovation. The Quran was written down at the time of the prophet peace be upon him, and the companions may Allah be pleased with them compiled it. Everything that you stated as “innovations” was done by the companions. Please tell me which one of the companions celebrated the Mawlid??? As for the things that you have “convicted us” for doing and are innovations, who told you that “we” do them?! This was done by Umar bin Alkhattab!! If you are referring to the “du’a of khatm/completion of al-quran” that is recited at the end of Tarawih, then I agree this is not from the sunnah and the people who do it should not do it. The same scholars that oppose Mawlid oppose this too! No one said this is sunnah either! The same scholars that oppose Mawlid oppose this too! You see, you are accusing some people without knowledge even. I guess this is just how sufis is, and the rest of the muslims should just accept that sufis will always do innovations and try and justify them. Anyways akhi, I am really tired of discussing this issue over and over with one sufi after another, because each sufi tries to come up with one twitsted way after another to try and justify it. What makes you think that you know better the practices of the Salaf or what is bid’ah and what is not then the scholars? Are you saying that all of the scholars of the past regarding the legality of the Mawlid are wrong and you are right? What makes you think that you know how the Sahabah practiced their religion better then the scholars? Isn’t this an example of an extreme form of intellectual arrogance? So the question is not if we follow the Sunnah or not but who’s interpretation of the Sunnah do we follow? And if you say the interpretation of the Sahabah, then who is better then understanding the Sahabah then the scholars? And the majority of the scholars say that Mawlid is okay… what is destroying Islam from within is this Salafistic protestant attitude towards the religion or this do it your self Islam phenomenon instead of being humble and obeying the rightly guided scholars whom have an unbroken chain of transmission all the way back to the Beloved of Allah, Sallallahu Alayhi Wa Sallim. The scholars are the inheritors of the Prophets and they deserve our respect. By us rebelling against their scholarship and rulings we are in a way rebelling against the deen itself and may Allah SWT save us from this, amen. Please brother open your heart and try to understand and may Allah SWT guide you and us to the correct understanding of our beautiful religion. I’m a Sunni Muslim and a Salafi (someone who follows the Salaf) and a Sufi (someone who aspires to be close to Allah). What is wrong with being a Sufi?… that is best thing that you can ever be! A Sufi is just another way of saying Muhsin. I agree that there are a lot of goofy sufis out there… some of them practice this ridiculous “theatrical Sufism” by jumping around and dressing all funny and humming and screaming. This is not Tasawwuf but rather a circus show. 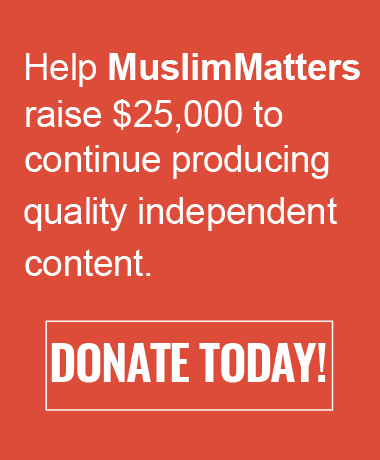 Tasawwuf is not portraying youself as “Ghawth” and advertising your “sohbets” on YouTube. Tasawwuf is not going to the Awliya or the graves of the Awliya and asking for the fulfillment of worldy things. Tasawwuf is not thrusting swords down your throat and walking on fire and nor is it magic. Tasawwuf is not seeking out karamaat or super natural phenomenons. If this is what you are looking for then there are plenty of sorcerers and magicians out there. 5. to always refer your matters to Allah. Tasawwuf is ikhlaas, shukur, love, and patience — the ultimate aim of Tasawwuf is to be a friend of Allah. And what more do you want? That is the reason of our existence is to “reach” Allah SWT (spiritually speaking, not literally). The tasawwuf that I practice is the Sunni tasawwuf of the Salaf-us-Salih, the tasawwuf of the zuhad amongst the Sahabah. The tasawwuf of Hasan al-Basri and Junayd al-Baghdadi. The tasawwuf of Ibn Taymiyyah and Ibn al-Qayyim. The tasawwuf of Imam Nawawi and Imam al-Ghazali. The tasawwuf of Ahmed Zarruq and Abul-Hasan al-Shadhili, etc. “Whomever is hostile to a friend of Mine I declare war against. My slave approaches Me with nothing more beloved to Me than what I have made obligatory upon him, and My slave keeps drawing nearer to Me with voluntary works until I love him. And when I love him, I am his hearing with which he hears, his sight with which he sees, his hand with which he seizes, and his foot with which he walks. If he asks Me, I will surely give to him, and if he seeks refuge in Me, I will surely protect him. I do not hesitate from anything I shall do more than My hesitation to take the soul of the believer who dislikes death; for I dislike displeasing him” (Bukhari, 8.131: 6502. S). such as Hasan al-Basri, Junayd al-Baghdadi, al-Ghazali, etc. and the many Sunni turuq (Sunni spiritual paths or schools of inward purification and sulook — the science of journeying to Allah). 6. The Scholar of the Arabic sciences such as nahu, sarf, balaghah, etc. No one can deny this as this historical and unanimous amongst the scholars of Sunni Islam. The way of Sunni Islam is to take your Aqidah from anyone of the 3 Schools of Creed, to take your fiqh from anyone of the 4 Schools of Fiqh, and to take your Tasawwuf from any of the authoritative Imams of this science. As for following a tariqah, it is just an Islamic brotherhood or fraternity designed by the scholars as an institution to help and facilitate the spiritual development of the mureed just as a madrasah is an institution designed to facilitate the process of disseminating islamic knowledge, etc. It would help if we look at the aims and objectives of mawlid, tasawwuf, tariqah, etc. instead of concentrating on the terms themselves… lets look at the realities behind these names and judge them by the scales of the shari’ah. If these things are in conformity with the shari’ah how can they be condemned? All of these are just means to help the Sunni Muslim to fulfill the very purpose of his existence which is the worship of Allah SWT and if the means are in conformity with shari’ah and the end result is the fulfillment of the commandments of Allah SWT and the adherence to the Sunnah then how can these noble means be condemned? 1) I agree, the The Quran and the Sunnah will always have an interpreter, and that interpreter should be the ways and sayings of the Salaf-us-Salih, because the companions were the ones who received the Quran and sunnah from the prophet and passed it down to us. So the ways and sayings of the Salaf-us-Salih SHOULD be what we rely on for interpreting the Quran and the Sunnah. 2) you seem to have more sense than most sufis because you see that what they do is wrong. One thing though is you would be better off referring to what you describe as “Tasawwuf” the way you understand it as Zuhd, because what is understood now from the word “tasawwuf” is what most sufis are doing which is not Zuhd, but it is a bunch of innovations and shirk. 3) Regardless of the aims and objectives of mawlid, tasawwuf, tariqah, It is well known that for anything to be accepted by Allah, there are 2 conditions. 1) it has to be sincere for His sake alone, and 2) it has to be from the sunnah, meaning it has to be done like the prophet peace be upon him used to do it. So if either one of these 2 things is missing, then this deed will not be accepted by Allah. Look at the christians, many of them are sincere and love God sincerely, but they are lost. So sincerity alone is not enough, you have to follow the sunnah in what you do. Therefore, since mawlid, tasawwuf, tariqah all are not from the sunnah, how can any muslim use them to get closer to Allah?! Besides, if you look at the sufi “tariqahs” where the people believe that their sheikh has super powers to do things and has knowledge of the unseen and that their sheikh can become one with Allah (astaghfirullah), then you want to tell me that this is not shirk and this is part of islam? 4) The Ash’ari and Maturidi aqeedas are not considered part of the creed of Ahlu Sunnah wal Jama’a. How can you include 3 conflicting aqeedahs under one united group?! Here is a question for you akhi, how can you take your fiqh from one of the 4 Imams of the Madhabs but not take your aqeedah from that same school of thought??? If you follow one of the 4 madhabs, then why do you take your fiqh and all rulings from that madhab but do not follow the aqeedah of that same imam??? 1. I agree we should rely on the Salaf-us-Salih but the common people (laity) are not capable of doing that since they are lacking in the prerequisite knowledges required to perform their own personal ijtihaad. In other words if you want to go straight to the Quran and Sunnah and the ways and sayings of the Salaf then as a condition you must attain to the rank of a mujtahid mutlaq to be able to do that. That is why we have madhhabs because a madhhab is for non-mujtahids like us whom do not have the capability of performing ijtihaad at the level of the mujtahid Imams such as Imam Shafii and others. 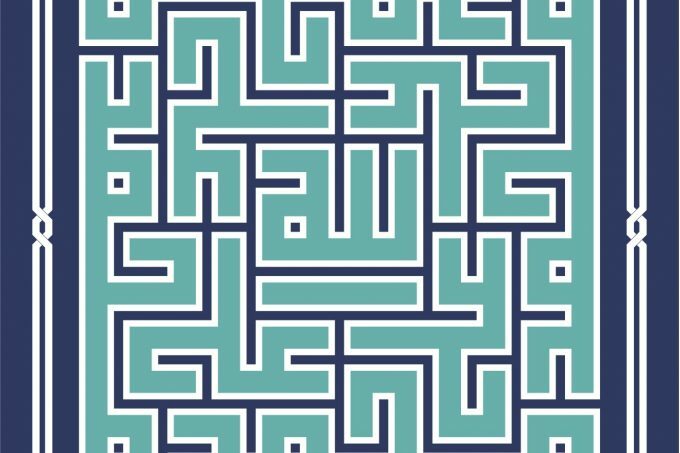 A madhhab consists of hundreds and thousands of scholars that have shifted through all of the primary sources of the religion (quran, hadith, etc.) and came out with the rulings that they did according to the methodology and rules laid down in their school when it comes to deriving the laws of Islam from the primary sources. A madhhab consists over a thousand years of legal research and scholarship which has been refined throughout the centuries! And all of a sudden we have group ascribing themselves to the ways of the Salaf claiming to know better then these great minds that came before us! That to me is just plain arrogance at the highest level. In essence they are saying that the scholars got it all wrong and we know better. That is the problem with this sort of approach. My question is to you are you a mujtahid mutlaq? Have memorized at least 300, 000 or so hadiths related to ahkam (rulings) with all of their isnaads? 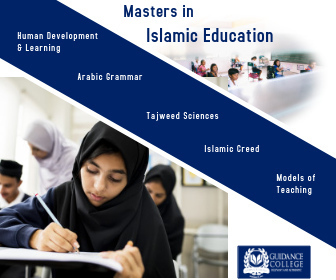 Have you mastered the Arabic sciences such as nahu, sarf, balaghah, etc? Are you well versed with all of the classical Sunni tafsirs out there? 2. There is no problem in using terms that were not used during the time of our Beloved Messenger, Sallallahu Alayhi Wa Sallim. If you look into all of the sciences of the religion you will find many terms that were adopted after the time of our Beloved Messenger, Sallallahu Alayhi Wa Sallim, such as “usul-al-fiqh”, “usul-ad-deen”, “ilm as-sulook”, “tasawwuf”, etc. These are just terms pointing to the realities behind them. There was a need to adopt terms in order to facilitate in the codification process of the religion. Even if you look into the fiqh books you will find chapter headings like “bab-us-salah”, “bab-ul-taharah”, etc… these sort of terms did not exist at the time of our Beloved Messenger, Sallallahu Alayhi Wa Sallim. They were necessary innovations needed to preserve the religion. Tasawwuf is just a term used to explain the 3rd branch of the religion which is ihsaan according the hadith Jibreel alayhi assalam. Zuhd is one aspect of this noble science. Never in history was tasawwuf categorically rejected. Tasawwuf was taught as a Sunni science within the curriculums of all the major Sunni institutions such as Al-Azhar, etc. As for shaykhs having knowledge of the unseen it is possible for Allah SWT to grant some spiritual knowledge through inspiration (ilham), true insight and premonition (firasa), and truthful dream-visions (ru’ya) which the Prophet, upon him blessings and peace, called “one-fortysixth part of Prophethood.” But them being granted spiritual knowledge or ma’rifah is because Allah SWT bestowed this knowledge upon their hearts as a gift due to their piety and proximity to Allah SWT and is not because they have the independent ability to know the unseen which is a kufr belief… this sort of knowledge is a favor from Allah granted to them by Allah. If the ilham is not in conformity with the shari’ah then it is not ilham but could be from shaytan or the nafs and Allah SWT Knows Best. As for the shaykhs becoming “one with Allah” we would need to know what is meant by that. If taken literally then of course this is kufr and shirk. If you mean by that to be so close to Allah too the point of forgetting that you even exist (which is a high level of ihsaan and ma’rifah — spiritual awareness or spiritual knowledge — called “fanaa”) then there is nothing wrong with that. Of course it would be best not to use that statement at all as it can be misleading. a. there are some ignorant sufis that perform innovative bid’ee rituals at the graves of the awliya which are not necessary and too excessive such as performing tawaf around the grave, beautifying the grave with flowers and lighting candles around the grave — like they do in India and Pakistan. But this is not shirk, these are just unnecessary local rituals and customs and what they mean by that is to honor the righteous that have passed away. No one is worshiping them. To worship the inhabitants of the grave is kufr and shirk. There are certain etiquettes and adab from the Sunnah with regards to visiting the graves that must be taught and learned. Now these customs might look “shirki” but we need to see what is the aim of these rituals and if these rituals contravene the shari’ah before we can judge. But most of these innovative rituals are harmless and just local customs that are not necessary. Today in my personal opinion most tariqas are defunct or corrupted and no longer have the effectiveness that they used to have amongst the masses. However in our times there are few tariqas that are solid… today the REAL Sunni tasawwuf in our times and in my opinion is in southern Tunisia… they got some serious Sunni tasawwuf and zuhud there mashallah, with a real Shaykh! He is my Shaykh in tasawwuf and he is a very strict Maliki Sunni and does not tolerate any transgression of the shari’ah. He will never compromise the laws of Islam. He makes it incumbent on Muslim women to wear the khimar and with absolutely no free mixing amongst the sexes. He will never let you join his tariqah until you fulfill the shari’ah. And I can tell you that his whole life is Sunnah, outwardly and inwardly. Another good tariqah I would recommend is Shaykh Nuh Ha Mim Keller’s Tariqah… they are 100% Sunni. 4. I’m sorry my dear brother but whether you like it or not the vast majority of our scholars beliefs come from these 3 schools. Just like what the 4 Imams have done in fiqh, these 3 Imams (Ashari, Maturidi, Hanbal) have done to our beliefs. That is they codified the aqidah of the salaf in a systemized way in order to preserve, defend, and disseminate the beliefs of Islam. The Salaf-us-Salih and 4 Imams have the exact some beliefs as the Asharis, Maturidis, and Atharis have. It is just that the 4 Imams specialized in fiqh (it is not as if they did not know creed, Imam Abu Hanifah was one of the first scholars to wright books on Aqidah such as his famous Fiqh Al-Akbar) and the 3 Imams in creed specialized in Aqidah and Ilm-al-Kalam which was needed to defend the beliefs of Sunni Islam against the Khawarij, Mu’tazilah, and other heretical groups. They too had knowledge of fiqh but aqidah was their area or expertise. Abul-Hasan al-Ashari was Shafii in fiqh to the best of my knowledge. In reality there is only one creed and that is the creed of Islam. There is absolutely no difference between the 3 schools of creed. They only differed in subtle secondary points of theology — where there is a legitimate difference of opinion — and in their system of defense when it came to refuting the heretics. The Hanbali Atharis chose to steer away from ilm al-kalam and taweel and that too is fine but at the same time to use ilm al-kalam and taweel is not a bad thing if used to defend the creed of Islam as long as the rhetoric is within the acceptable rules of the Arabic language and it does not contravene the primary verses (muhkumat) of the quran. We are not in need of bidah sheikhs and we are definitely not in need of auliyah or sunni path.com. Constantly claiming your’re ahlusunnah wa jamah doesn’t change the fact that most Muslims really aren’t sufis. That statement is the falsest thing I have ever heard! NONE of the companions were Ash’aris or held that belief. I think you should do some research akhi instead of just taking what your sufi sheikh tells you and believe in it as the absolute truth. The Islamic Scholars of the early generations followed Ahle Sunnah. The 4 Fuqahas of the madhabs followed Ahle Sunnah and not ashari thought. ashari thought was founded after the third generation of Muslims. Also the current Muslim scholars can go directly to the works of the salaf since their works still exist and is authentic. Its quite strange that no one in this whole thread ever bothered to mention that 12th Rabiul Awwal is the authentic date of Prophet sallallaahu alayhi wasallam’s death. And our beloved Prophet sallallaahu alayhi wasallam said ‘If one of you is afflicted with a calamity, then let him remember his calamity by me (i.e., by my death); for indeed, it is the greatest of calamities.’ Are we still going to debate about the permissibility of celebrating Mawlid on 12th Rabiul Awwal (as 99% of the people do). And as brother Faraz Omar has pointed out rightly, there is no evidence to it in the Qur’aan & Sunnah or from the actions of our pious predecessors. Whatever was sufficient for them is sufficient for us. It’s sad and unfortunate how “Ahlus sunnah wa jamah sufis” go to the extreme extent to defend mawlid. To counter mawlid apparently we have to go through thousands of scholarly opinions and then thus refute it. And apparently we are being arrogant when we do this because all those scholars are better than us. Since when did scholars DECIDE Islam? If there are some scholars who make a bidah acceptable, who gave scholars such a status that we can say “Oh no, shut up you can’t say anything against this, you’re not a scholar”. We do not worship scholars. There is bidah that is part of the religion and bidah that is not. Mawlid has nothing to do with the sunnah, it is complete bidah. Charity online-that is acceptable. Mawlid? Complete bidah. So Ibn Taymiyyah is saying that the ijtihad of those who celebrate and express love of the Prophet صلى الله عليه وسلم in this way, then Allah may reward them for this love and ijtihad, but not the innovation itself. Surely he was not speaking about the ijtihad of the laypeople, but rather of their scholars who made it permissible for them to follow, and not out of ignorance? A clarification would be appreciated. Shukran. Assalam o alaika ya akhi Yasir Qadhi Wa Jazakallah Khair for the best article on this issue i have ever read. its a fruitful research i must say! This is disturbing. By ‘seeking blessing from it’ isn’t this shirk? Jazakallahu khairan, this is the most informative article I have read so far. I wish you would provide us with bibliography, though, to make it more “scientific”. Once, again, may Allah reward you. State of the ummah today clearly provides ample food for thought. In fact it may be more factual to state that there is no ummah, because to be classified as an ummah requires a degree of commonality in terms of creed, rituals and other permissible practices. ALL enemies of Islam are rejoicing and benefiting for our splits & divides. They actively spend billions to encourage the spread of disunity amongst the ummah. Yet here we are, each one clamouring to distance ourselves from the true teachings of prophet ﷺ as best understood, best practiced and receiving the prophet’s ﷺ approval & acknowledgement during the blessed presence of prophet ﷺ in the prophet’s ﷺ blessed lifetime by the prophet’s ﷺ closest sahabah. People, think about this with open minds. ALLAH ﷻ commands us to be united and not be disunited. Our success in this world and salvation in the aakhirah depends on level of sincerity to ALLAH’s commands. So ask questions to truly learn and understand; not to create division.